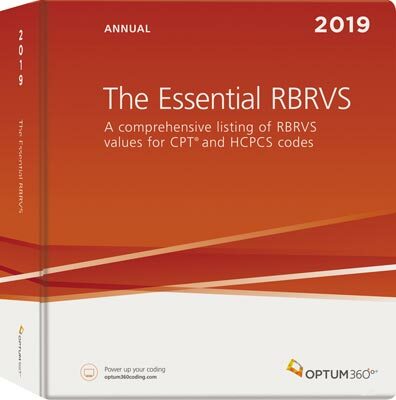 Comprehensive listing of RBRVS values for all CPT and HCPCS codes. Provides physicians with a complete relative value scale for developing fee schedules and performing contract analysis with codes valued by CMS, as well as relative values for all codes not valued by Medicare referred to as "gap codes." The Essential RBRVS gives you all the codes valued by CMS, as well as relative values for many codes not valued for Medicare. The RBRVS for the Medicare Physician Fee Schedule (MPFS) is used to set physician fees by Medicare and many commercial payers. However, the RBRVS does not provide a complete schedule. Codes not valued for Medicare are referred to as “gap” codes. The Essential RBRVS provides Medicare values and “gap” values to enable you to develop a more complete fee schedule.